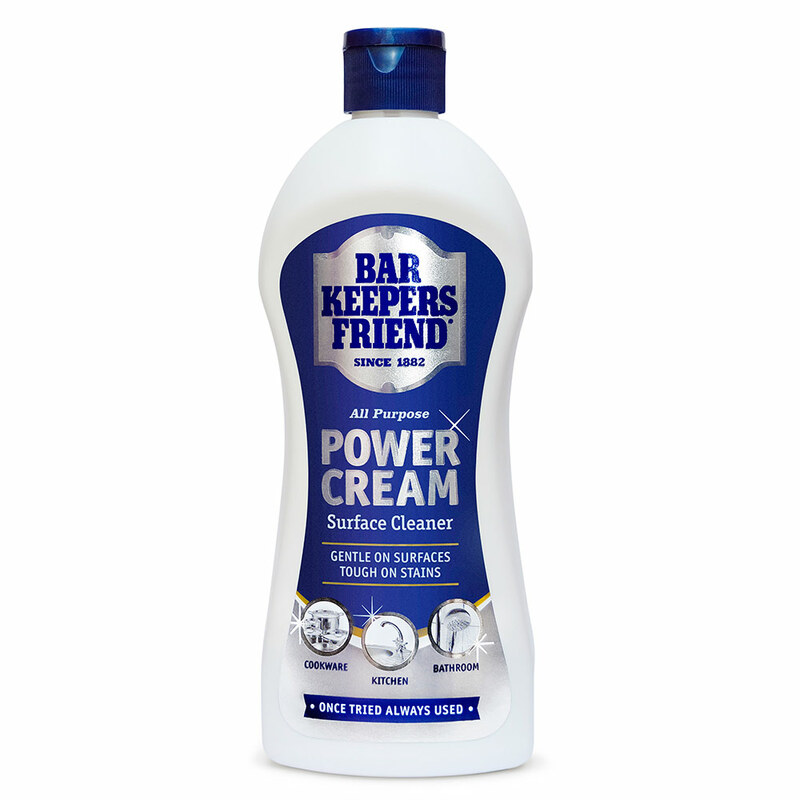 You can use Bar Keepers Friend Power Cream on vertical surfaces, making it ideal for removing limescale stains in hard-to-reach places. Shake well. 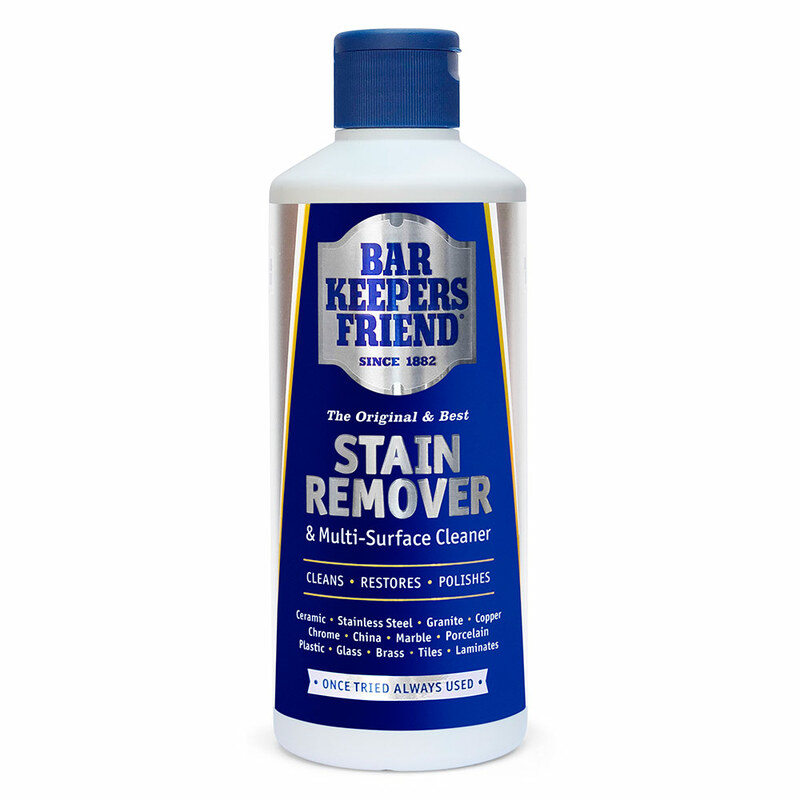 Squeeze cream onto a damp sponge or cloth. Rub gently, rinse and wipe dry. Always test product on a small area first. 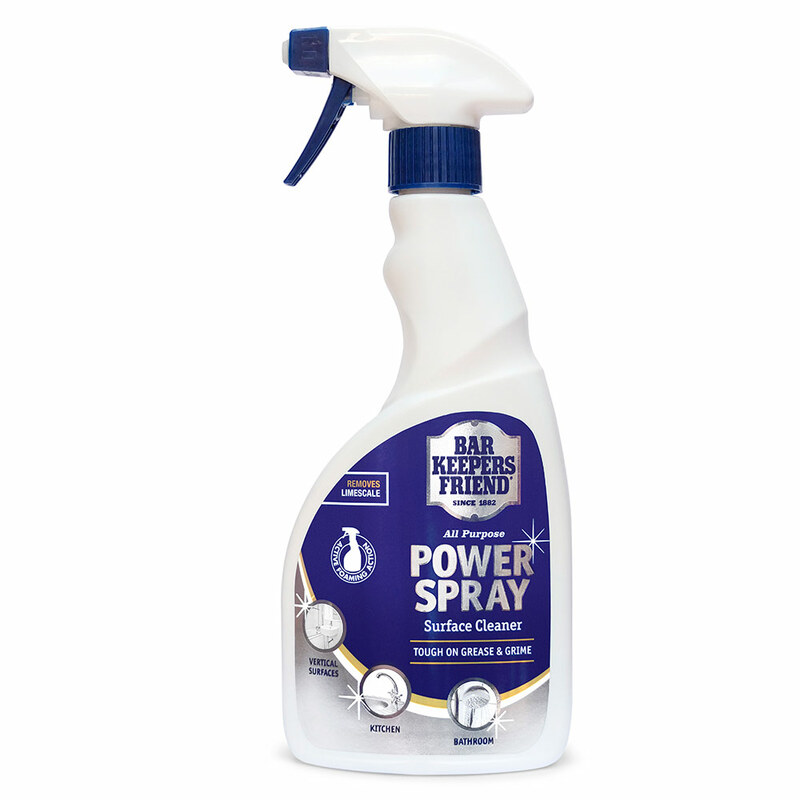 Do not use on mirror polished stainless steel, gold, silver enamel or high gloss surfaces. Keep out of reach of children. Avoid contact with skin and eyes. Do not swallow. Avoid breathing mist. Do not mix with chlorine bleach or any other household chemicals. Wash thoroughly after handling. Keep away from food, drink and animal foodstuffs.